I found this while I was clearing a bit of space in the garage. 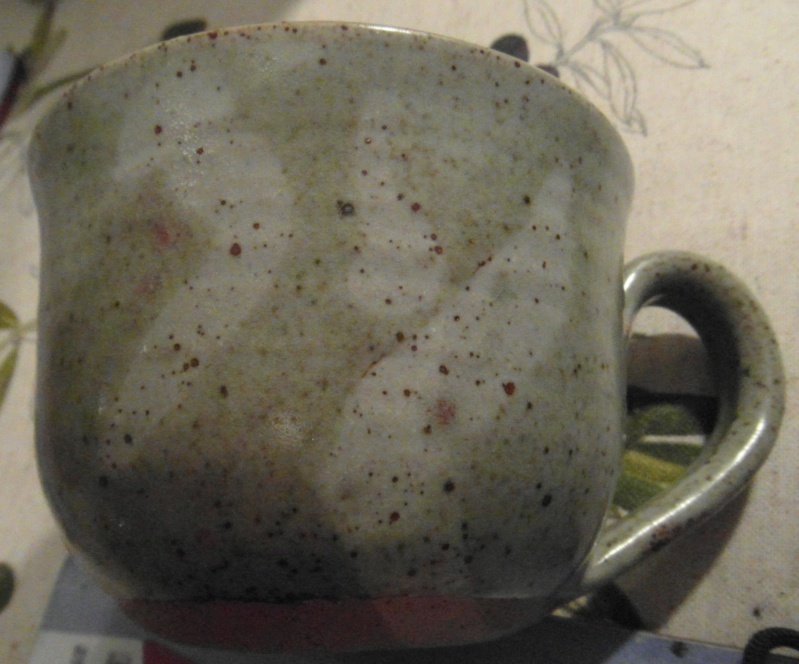 I have seen a mark like this associated with Janet Leach but this cup is unlike anything else of hers that I have seen. It is actually a good size cup with a good, big, practical handle and just fits under my coffee machine. And I am wondering whether I have posted his same question before and forgotten. Roger Veal - the stamps shown (upside down) is TP and was used for the studio ware.For my individual pieces I used a different stamp. Yes, I studied at the Bath Academy of Art, Corsham where James Tower was the pottery teacher. I then went to the College of Ceramics at Alfred Univ. New York.where among other good teachers, Daniel Rhodes taught.I was lucky to be his studio assistant.I then worked in Los Angeles and Texas before returning to Cornwall. I was invited to to set up a pottery Dept. at the Redruth School of Art, part of the then Cornwall Technical College. Tom Parry ,see above, is correct, I was more interested in sculptural forms and the formed the basis of various exhibitions I had. Not potting any more, but still collecting a pot here and there. 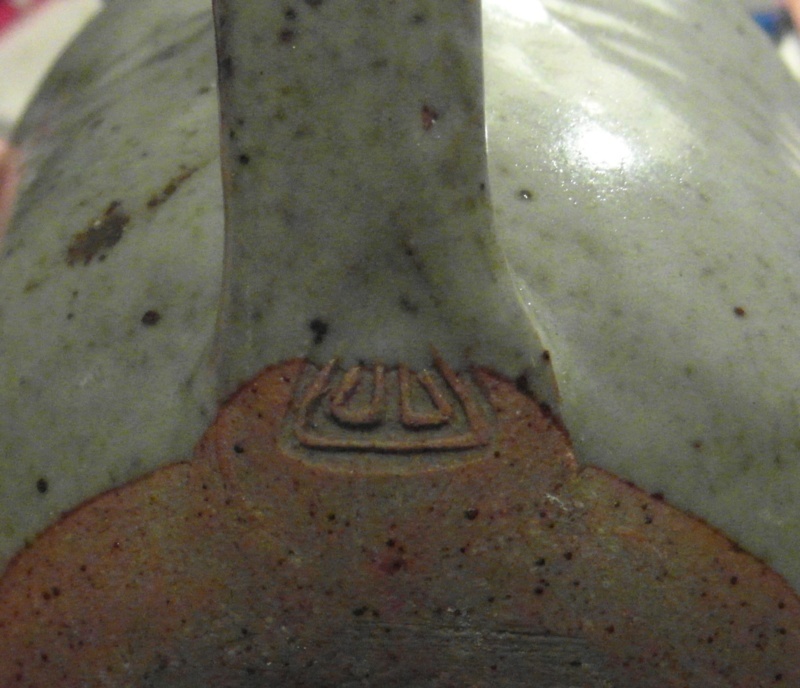 I just got this from Ceramike website attached to a similar mark on google.